When you need a commercial remodeling company, First State Contractors can help you with the design, costs, construction, and details of the project. They can help with the design of project in hospitality and entertainment restaurants, coffee shops, cafes, motels, hotels,and convention center. First State Contractors in Hockessin, Delaware specializes in banking, schools, dorms, parking structures, and food service projects. They are a full service commercial construction and remodeling company that offers all services to clients. 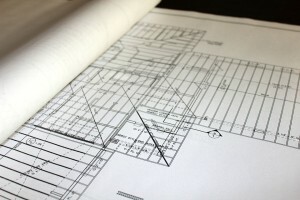 They will draw and design , build, maintain and repair on all commercial projects. No work starts until you approve the project plans. Their licensed technicians can resolve any problems that arise during the commercial project. They hire the best craftsman to build and construct your building or structure . All buildings are thoroughly inspected before beginning work. They have experience with remodeling old buildings or constructing new ones. First State Contractors are bonded, insured, and licensed to do the job correctly. They have over 50 years of experience in the business. Each project is tailored to the client’s specific needs. They can build eco-friendly structures using recycled materials, stone, wood, and products safe for adults, children and pets. The project begins with planning, design, cost estimating, and engineering review. It proceeds with contractor bidding and negotiation, estimates, supplies, and a working schedule. Construction begins when a suitable contract has been written and signed with permit acquisition and a detailed schedule. Construction of the commercial project begins with a meeting of all staff architect, project manager and contractors. They discuss a schedule, materials used, costs, design issues, and safety procedures. Construction of your commercial project involves weekly meeting to discuss changes, materials, inspections, safety, and payment until the project is completed. After completion we are always available to help maintain and fix problems as they arise. Call First State Contractors at 866-398-9103 to learn more about getting an estimate for your commercial remodeling and construction needs or contact us.